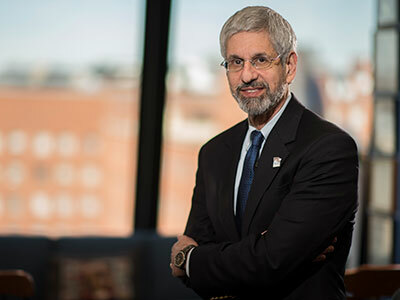 A speech by outgoing American Pediatric Society President Mark L. Batshaw, M.D., explored the impact of a single clinical trial on the entire field. Gene therapy – delivering genetic material into patients’ cells as a way to treat or cure their diseases – has immense promise to alleviate or end many lifelong and deadly conditions. This treatment has so much potential that it was a heavy focus of research and research dollars around the world in the 1980s and 1990s. However, many of these efforts came to a screeching halt in 1999 when a teenaged patient named Jesse Gelsinger died in a gene therapy trial aimed at curing a disease called ornithine transcarbamylase deficiency, a urea cycle disorder. Gelsinger’s death triggered a number of investigations, halted gene therapy trials in the United States, and severely restricted financial support from federal, foundation and industry funders. The tragedy also spurred Mark L. Batshaw, M.D., one of the clinical trial investigators and newly named Chief Academic Officer at Children’s National Health System, to turn in his resignation. The chief executive at the time declined to accept it, instead naming an outside panel to investigate Dr. Batshaw’s role in a study marred by conflicts of interest, delays in updating patient consent forms, lack of adherence to the study protocol and ineffective team leadership. 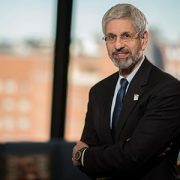 As Dr. Batshaw passed the gavel to the next president of the American Pediatric Society during the Pediatric Academic Societies’ annual meeting this spring, he told attendees of his Presidential Address that “not a day goes by that I don’t think of Jesse Gelsinger and his family and hope that the work our team has continued will honor him by eventually achieving success with gene therapy.” In an act of altruism, 18-year-old Jesse Gelsinger had joined the trial with the aim of helping other kids suffering from metabolic disorder. Dr. Batshaw recognizes that his is an unusual choice, speaking about his “greatest professional failure” when predecessors have used their addresses to speak exclusively about scientific accomplishments. More than 1,000 gene therapy trials are currently underway, 23 of them at Phase III, the pivotal stage that makes or breaks approval by the Food and Drug Administration (FDA). Dr. Batshaw estimates about a dozen of those are likely to demonstrate robust enough results to progress to a formal application for FDA approval. “After a period of virtually no growth in gene therapy trials from 2000 to 2013, there has been a marked upswing in the past two to three years,” he says. Looking forward 10 years, Dr. Batshaw is hopeful that gene therapy will become part of the therapeutic tools routinely used to help patients who suffer from rare disease and cancer. Making that next leap forward will be powered by innovative research, including work by colleagues at Children’s National. Among the presenters at PAS2017, the world’s largest pediatric research meeting, were more than 100 Children’s presenters, speakers and moderators.